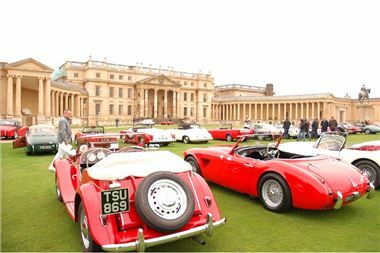 Hagerty International, the classic car and bike insurance specialist, will be hosting a classic car tour to celebrate Drive It Day, the Federation of British Historic Vehicle Club’s annual classic car day. As in previous years, Hagerty is inviting classic car owners to join a scenic tour on Sunday 17th April – the UK’s annual Drive It Day. The 2011 Hagerty Drive It Day route, which starts from Silverstone Racing Club, takes in four counties and visits the Prodrive Heritage Centre at Banbury. The Prodrive Heritage Centre contains cars covering the company’s 25 year history, including rally cars of its founder David Richards. Amongst the collection are Subarus that Colin McRae and Richard Burns drove to victory in world rallying. Showing the diversity of the company’s history, are the BAR Formula 1 car that Jenson Button drove, a 1986 MG Metro 6R4 Group B rally car and recent Aston Martin Le Mans cars. The seventy-mile country tour passes some stunning scenery and historic sites including Banbury Cross, Broughton Castle, Canons Ashby, Cropredy and Farnborough Hall, with the final destination being Stowe Landscape gardens and school, one of Europe's finest architectural gems.